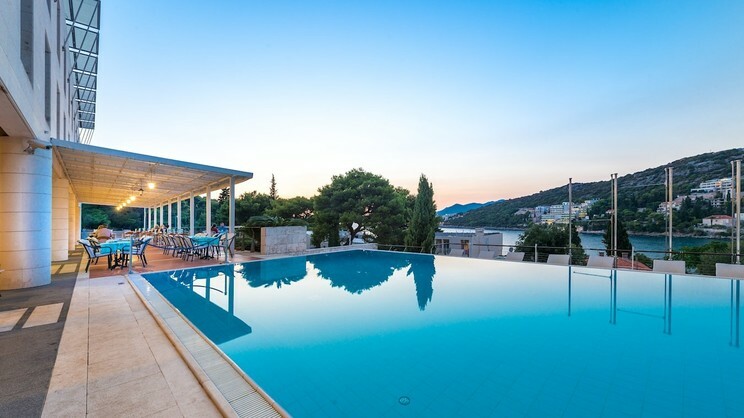 Immerse yourself in the staggering beauty of Dubrovnik with a scintillating stay at the magnificent Hotel Uvala. Here you can enjoy ultimate relaxation beside clear blue waters, or venture out to explore the incredible city sights and embrace Croatia’s fascinating history and culture. After an unforgettable day, the Hotel Uvala’s restaurant terrace is the perfect place to enjoy an al fresco dinner with the stunning views of the bay guaranteed to leave you breathless. Hotel Uvala is located a stone’s throw away from the beach. Hotel Uvala is close to a number of shops, bars and restaurants. Dubrovnik Airport is approximately 23km away from Hotel Uvala.